What did 3004 Vine Grove Avenue in St Louis, Missouri, look like when Lillian and her family lived there in 1906? I was curious about this, so I used Google Earth to investigate. 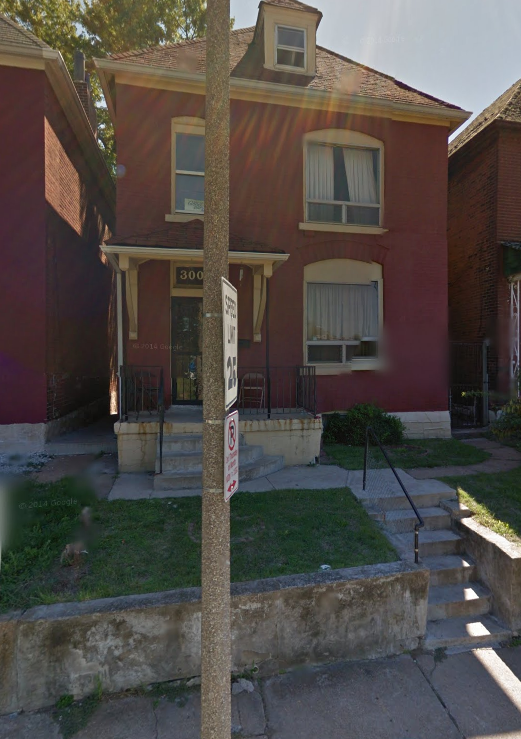 Here is the building that currently sits at 3004 Vine Grove Avenue in St. Louis, Missouri. And when I researched this house on real estate sites, it turns out it was built in 1892. So this is definitely the house Miss Lillian is living in at the beginning of our journey through her postcards! It consists of 1350 square feet (not too big, not too small). And since it was built in 1892, it is only 14 years old, so relatively new for the Maguire family. You can find this on the PBS site for Life in a 1900 House (which was a very cool series, by the way! ).